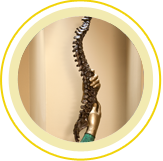 Our Physician Assistants (PAs) have advanced training and extensive experience in the diagnosis and treatment of spinal disorders. 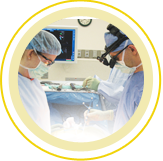 They work closely with our physicians, both in the office and in the operating room. They often provide the initial evaluation and order the appropriate diagnostic tests for patients, enabling us to expedite their care. Our PAs also spend extra time with patients, providing education and follow-up care. They are qualified to perform office procedures and renew medications under the supervision of our doctors. She is board-certified and has worked as a PA with Dr. Cohen since 2002. She is board-certified and joined Spine & Scoliosis Specialists. He is board-certified and joined Spine & Scoliosis Specialists.